Michve Alon is a base in the north offering an array of educational courses. It is most known for the three-month Hebrew course required at the beginning of a soldier’s service if they are a newcomer to Israel (oleh chadash) with weak-average Hebrew. Though, there are other services offered. For an overview, read this other post titled “What to Know about Michvei Alon” and then return to this post for a breakdown of crucial tips for preparing both physically and mentally. Buy a carabiner and use it to attach your water bottle (ממיה) to your uniform. You must have this on you at all times, at risk of punishment, and if you’re walking somewhere far with a need to carry other supplies, this will free up one of your hands. If you draft when it is cold outside, bring lotion. Your hands will hurt otherwise. Always keep a notebook and pen in your pocket. It is crucial to be writing down Hebrew words you do not know. Google translate will not be at your disposal during the day when you cannot use your phone. An added reason for the notebook and pen is because after every break someone from your צוות has to write down who is missing and why. It is a huge waste of time and panic to be that person who suddenly needs a pen and paper when it’s their turn. In order to avoid some of the panic that might ensue even if you have the pen and paper, write up a few templates during your free time so you only have to fill in the time-sensitive details when your turn comes. Related to above, if you go anywhere during a break and you know you’ll either be back in the last 10 seconds or will be late, tell someone in your צוות so they don’t accidentally write you down as missing. If you’re religious, bring your own siddur because there will never be enough there. Write your name on everything you own. Everything looks exactly the same. Bring a long-lasting portable phone charger so you never have to argue over outlets. Get together with your friends and make a post-meal plan. Come up with a system in which someone takes all the silverware, another all the cups, etc. so that you can all get out of the post-meal mob as efficiently as possible. Create a system to organize your belongings before bed, so as to ensure nobody takes your belongings in the morning and so you can get ready quickly. We recommend either a bright towel to lay your stuff on or a bucket/basket. If you’re missing something that they’re required to give you, remind them everyday or every other day until you get it. Whether your סמלת or anyone else seems annoyed at your asking, they are busy and likely will appreciate the reminder in the end, so long as it is truly something they are supposed to provide for you. If you’re legitimately sick, make sure your mefakdot understand exactly how genuinely sick you are. They are used to soldiers who lie to get out of undesirable obligations. You will be tired. Nonetheless, never fall asleep in the middle of a class or speech or davening. They’d rather have every single person standing up to stay awake than one person who even looks like they’re drifting off sitting down. You’ll want to stuff your face during meals, but know that you’ll almost always have to run a little bit immediately after, so don’t overdo it. There is no true way to prepare for basic training. Basic training is more mentally frustrating than physically challenging, so if you do want to prepare somehow, practice not getting enough sleep. Practice optimism or, at the very least, imagining ways your situation could be worse. Practice making the best of difficult or ridiculous situations. This may seem like common sense, but it is crucial to your live during and after Michvei Alon: talk to people and make as many connections as possible. Message strangers in facebook groups, ask friends for their friends’ numbers, and don’t hesitate to approach strangers who might just be soldiers in the exact unit you want to enter in order to ask for their advice. It’s great to join the army open to doing any job, but if you know what you want, you are going to have to research and advocate for yourself a lot along the way. There will always be significant periods of time in which you’ll have nothing to do. Figure out ways to fill that time in a worthwhile way. Learn something new, socialize with new friends, or get some needed rest. Either sprint to be first in the showers or relax and make your bed and go last, no point in waiting in line. Learn how to foresee problems that will happen because of other people’s mistakes. Be proactive. Even if you integrate all of the above advice into your heart and mind, you will certainly run into trouble for something else at some point along this journey, and it will very likely feel unfair. The most important trait to develop during this time is resiliency: laugh it off and push forward. The Units: What is “Kishrei Chutz”? Can I Still Be a Lone Soldier If I Have Family In Israel?  We are released lone soldiers who want to help you find info on drafting into the IDF!